Adobe has updated their Raw file software Camera Raw to version 5.2. The new version adds support for the DSLR camera Nikon D3x and Olympus E-30. You can download Adobe Camera Raw version 5.3 for both Mac and Windows from the Adobe website. * In the Windows 64-bit version of Lightroom an sFTP upload process could cause Lightroom to crash. * Slideshows could return to the first image randomly during playback. * A memory leak could cause Lightroom to crash while attempting to process files with local adjustments. * Canon EOS 5D Mk II sRAW files could process with artifacts in Lightroom 2.2. * Lightroom 2.2 could cause disc burning to fail for Windows customers. Adobe has also added support for many new languages. You can download Adobe Photoshop Lightroom version 2.3 here. Adobe has updated their software Photoshop Lightroom to version 2.2. The new version adds Raw support to seven new cameras and a function that adds camera profiles to Lightroom that let you mimic the output of how the camera manufacturer wants the pictures to be. This function was previously only available in Adobe Labs. 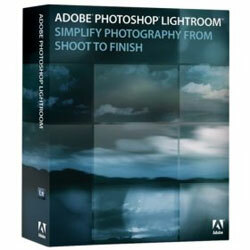 You can download Adobe Photoshop Lightroom 2.2 for Windows here and Mac here. Adobe has just released a new version of their popular Raw file converter, Camera Raw 5.2. Camera Raw 5.2 adds support to seven new cameras including Canon EOS 5D Mark II and Panasonic DMC-G1. The update also includes a new tool called Targeted Adjustment, enhanced color profiles, output sharpening and other updates. You can download Adobe Camera Raw 5.2 here for Windows and here for Mac.